The clash between Iceland and Croatia will be played at the Rostov Arena in Rostov on June 26th. The Our Boys need three points here and a draw between Argentina and Nigeria, which is not impossible, but it seems that they lost their chance in a tilt with the Super Eagles. After a brave and impressive display against Argentina, Iceland showed nothing in a game with Nigeria, and although they were slightly better in the first half, it was evident that they lost a lot of energy against the Albiceleste, and the Super Eagles outrun them big time. Victor Moses created a golden chance to Ahmed Musa who found some space inside the box to meet a beautiful cross and fired the dropkick into the middle of the goal to make it 1-0 in the 49th minute. The Nigerians continued to threaten Iceland on the counter and following misses from Wilfred Ndidi and Moses, Leicester City’s striker hit the crossbar before a great solo run that beat two defenders and the goalkeeper to double the lead in the 75th minute. Six minutes later, Iceland had a great chance to cut the deficit as the referee awarded them a penalty, but Gylfi Sigurdsson’s shot went well over the bar, and it remained 2-0 for Nigeria, so the punters who backed them at +200 tripled their stake. On the other hand, Croatia displayed one of the most impressive performance at the World Cup so far in a huge 3-0 victory over favored Argentina who was left shocked and on the brink of elimination. Mario Mandzukic and Ivan Perisic had opportunities for the Blazers in the first half, while Maximiliano Meza and Enzo Perez failed to beat DanijelSubasic so the opening 45 minutes ended without goals. Sergio Aguero couldn’t convert his chance in the 5th minute, but Ivan Rebic managed to do so on the other end as he took advantage of Willy Caballero’s fatal mistake that allowed Rebic to catch a volley and send the ball over the keeper to make it 1-0 for Croatia. Argentina started to be more nervous as they were seeking for an equalizer, but Luka Modric scored a screamer in the 80th minute and piled more misery on the Albiceleste. Christian Pavon and Leo Messi couldn’t get it done as DanijelSubasic made a couple of excellent saves to keep the net intact, while Ivan Rakitic scored the last goal in the game on the counter in the 91st minute. The punters who backed Croatia to win at +300 were delighted with this display, while those who bet on over 2.5 goals at +135 were happy to see the Blazers’ desire to score the third. Gylfi Sigurdsson is the one who can lead his nation to the Round of 16, and after missing a penalty in the previous game, he needs to bounce back and show a much better display here. Mateo Kovacic was introduced in both games off the bench and he could get the start instead of his teammate Luka Modric who deserved a rest after a spectacular performance against Argentina. Iceland: Halldorsson; Saevarsson, Arnason, Sigurdsson, Magnusson; Gislason, Gunnarsson, Sigurdsson, Bjarnason; Bodvarsson, Finnbogason. Croatia: Subasic; Vrsaljko, Jedvaj, Caleta-Car, Strinic; Brozovic, Badelj; Kovacic, Pjaca, Rebic; Kramaric. Iceland’s chances to win the World Cup are up to +50000, while the Our Boys are +2200 to reach the quarter-finals. 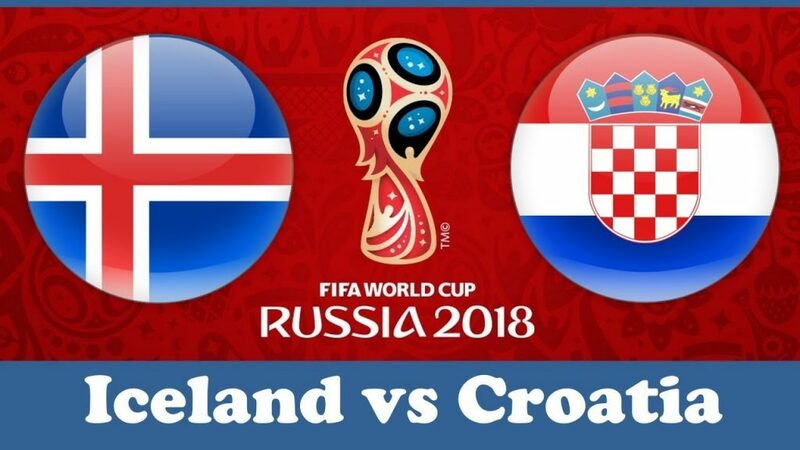 Croatia’s chances to win the World Cup are +1400, while the Blazers are -188 to reach the quarter-finals. The odds on Croatia to win went up from -120 to +125 because they don’t need three points and can remain at the top of the group even with a loss. That doesn’t mean they will not try to record the third win in three matches, but the Blazers will likely field a weakened team, so I’d go with a draw here.